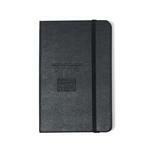 The Moleskine® Hard Cover Ruled Pocket Notebook is a reliable notebook perfect for notes, thoughts or sketches. 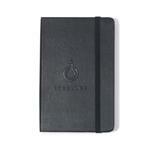 A great custom journal book. 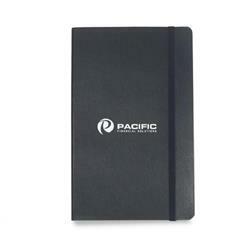 Bound with a hard, round edged cover and 120 sheets of acid free paper, it also has a book mark to hold your place, an elastic strap to keep it closed when not being used and and expandable inner pocket. Customizable with your logo or personalization. RUSH ORDERS ARE AVAILABLE!